Incorporating massage therapy into a regular healthcare plan is one of the easiest and best things you can do for yourself (not to mention the most enjoyable!) It is no secret that typical American lifestyles promote unhealthy behaviors such as exposure to chronic stress, long periods of sitting, poor posture, and bursts of activity that can result in injuries. Long, rhythmic strokes activate the parasympathetic nervous system to promote intense relaxation and restoration. 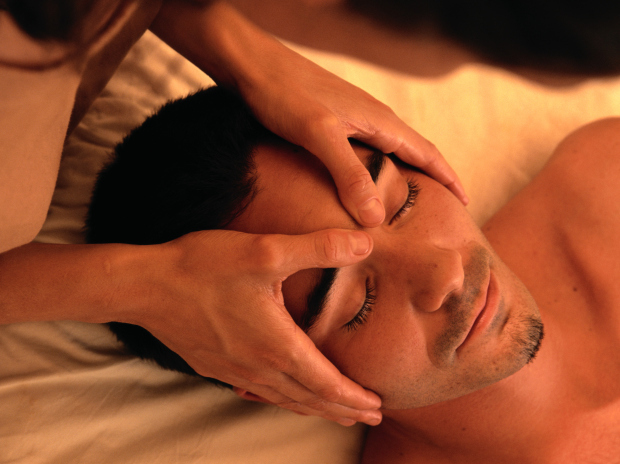 Massage also increase the circulation of blood and lymph fluid which improves immunity and healing. Deeper, targeted attention to individual muscles corrects postural imbalances. I believe that massage improves lives and advocate its use to those who have not yet reaped its benefits. I specialize in therapeutic fusion massage, using a range of techniques to warm, stroke, press, and knead skin, muscles, and other soft tissues. I blend various bodywork modalities—including Swedish, Thai, Shiatsu, Lomi-Lomi, reflexology, and myofascial release, amongst others--to reduce pain and balance the body. I am committed to using continuing education to continuously improve my technique. I feel so privileged to be able to explore and apply traditional, global bodywork techniques as part of my job. A graduate of the Indiana College of Sports and Medical Massage, I currently live and practice as a licensed massage therapist (LMT) in Bozeman, Montana. I work individually, as well as for Ocean Spirit Massage, at A Soul's Own Place (located at the corner of 8th and Babcock in Bozeman, MT.) I love creating individualized treatment plans and working with clients regularly to improve their health. It is so rewarding to be able to use gentle, precise, therapeutic touch to encourage relaxation and guide the body into healing itself. In 2012 and 2013, after graduating from massage school, I apprenticed with Spirit of Dawn to better understand the practice and business of massage. As an employee of Ocean Spirit Massage, continuing education is a requirement. I have been training with Ocean Spirit Massage owners and employees in several techniques throughout 2014. In 2011 and 2012, I worked at a medical massage clinic specializing in rehabilitative and sports massage that was offered by my massage school. This clinic was a popular referral spot for Indianapolis chiropractors and physical therapists' clients. I specialized in treating shoulder injuries, especially of the rotator cuff. In the spring of 2015, I took courses and tutorials from several organizations and working with a local practitioner to learn Thai Massage and incorporate Thai principles into my treatment plans.